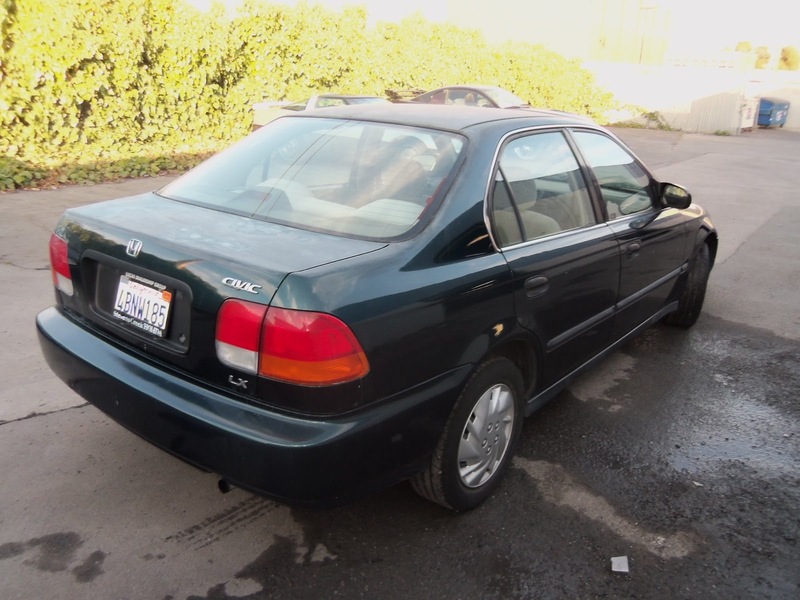 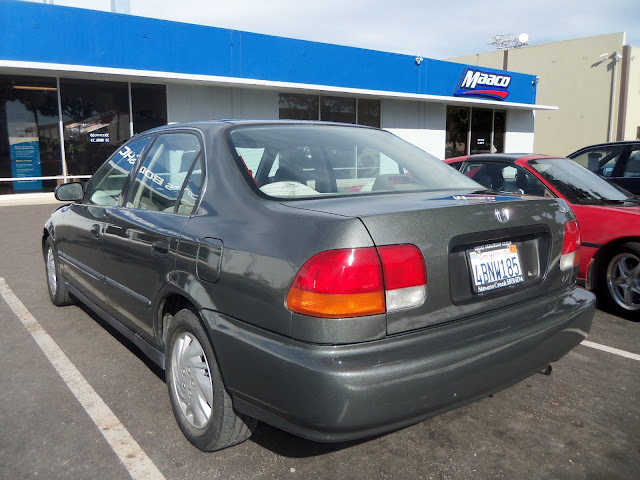 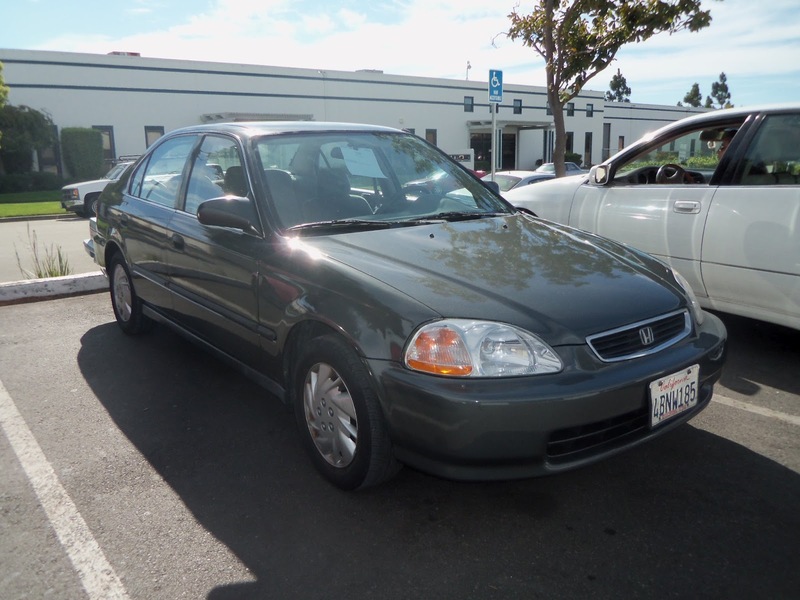 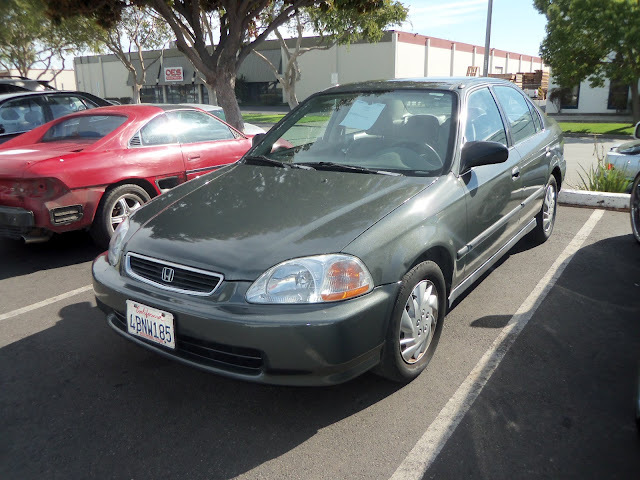 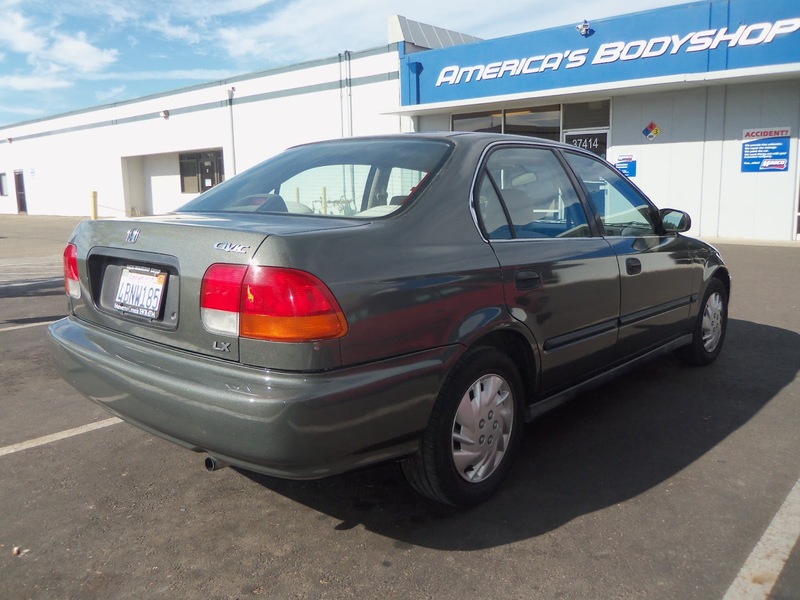 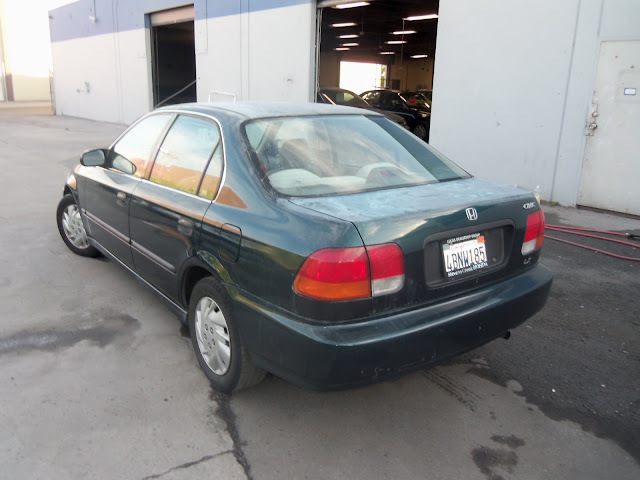 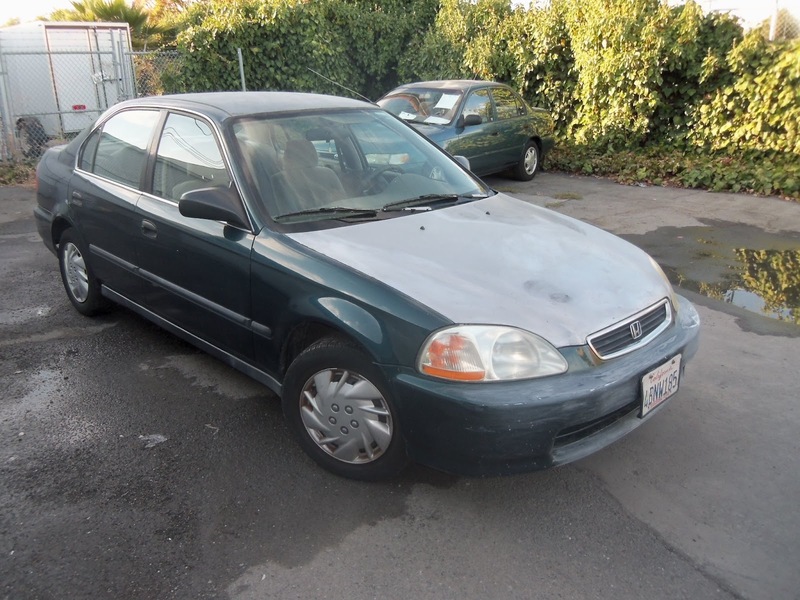 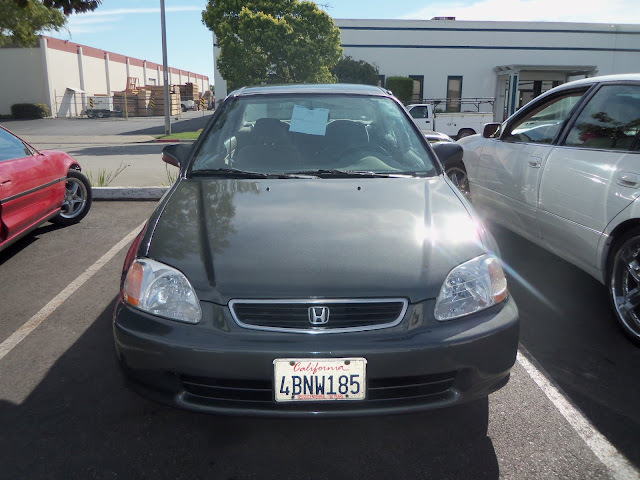 Almost Everything's Car of the Day is a 1998 Honda Civic Sedan, the owner of this car decided he wanted to learn the basic steps of auto body work. 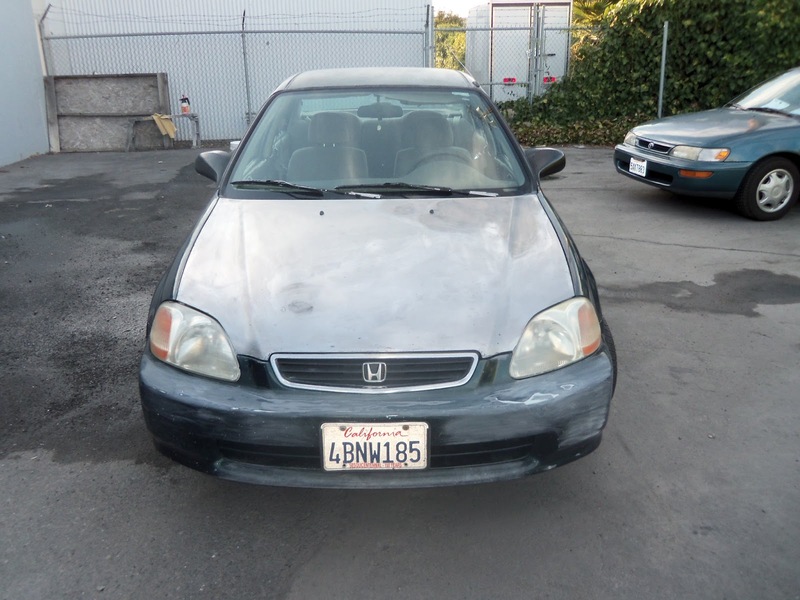 He prepped the car himself, removing the paint to the bare metal on the "microchecked" hood, and the rest of the cars delaminating/peeling paint. 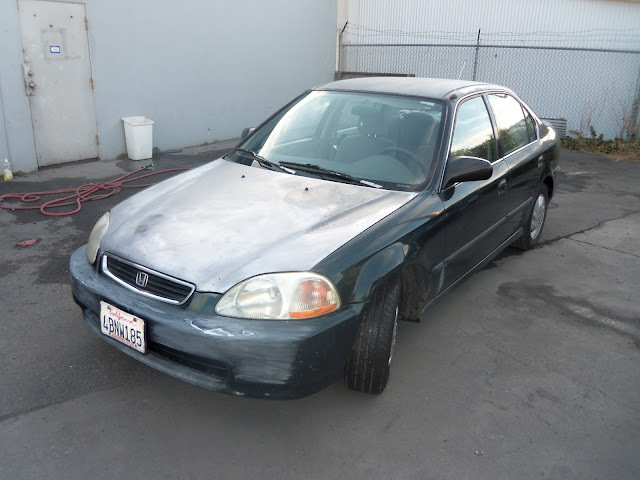 Once he was satisfied with his work, he brought the car in for us to paint, he chose our "Phantom Gray Effect" color, when we finished you would never know the outside of this car used to be green!